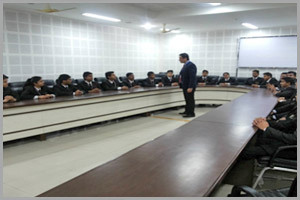 Department of Management was established in 2009 with the intake of 60 seats to provide the future managers of India with the latest principles, practices, and technologies of modern management from around the world. The goal of Management Department is to promote excellence in management education and to prepare young men & women to meet the challenges of the developing corporate world. 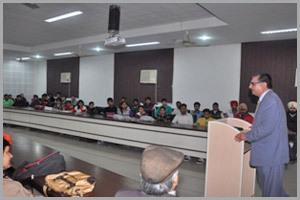 The provision of central computing facility with Wi-Fi technology is available in the campus. 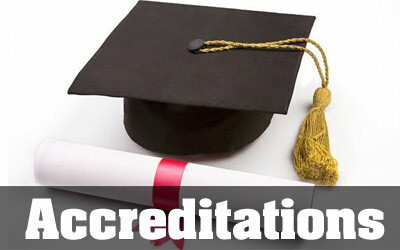 Department of Management has a large pool of well qualified and highly accomplished faculty members with sound conceptual knowledge in their respective areas. Since its inception, the department has been moving ahead, continuously in tandem with the growth and diversification in the business field maintaining constant interaction with various industries. 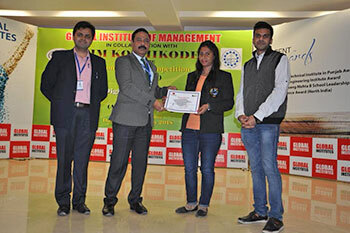 Workshop of IIM Kozhikode for MBA students on Digital Marketing was recently conducted at Global Institutes by Mr. Neeraj Kheria, Google and IIM certified trainer where three best students were selected for National level round and given certificates of merit. 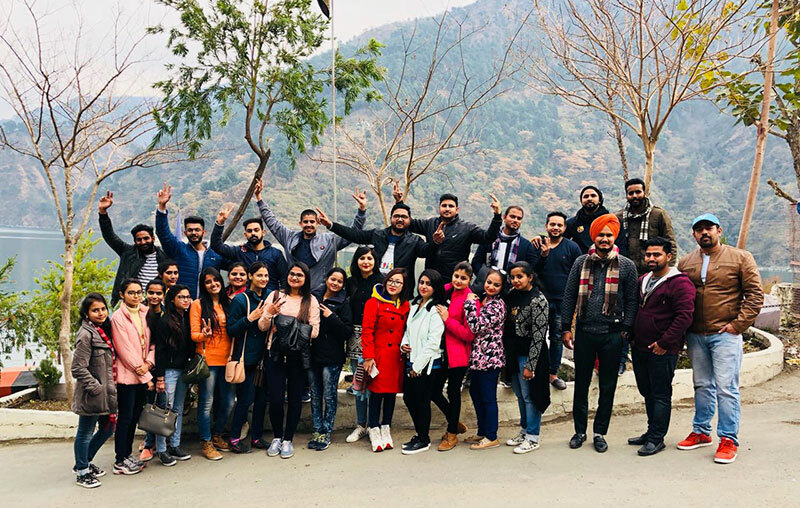 Students of MBA2nd &4th Sem was organized trip to Dalhousie. 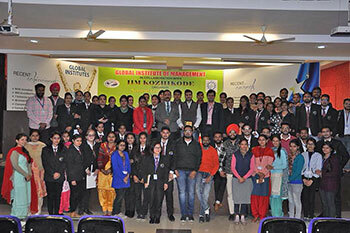 They started their journey on 10th Feb at 6:00 a.m. with Ms. Pallavi Sood (MBA) and Mr. Sumeetpal (HMCT). They reached their by 2:30 p.m after that enjoyed the beauty of place and at night they enjoyed DJ party at hotel. 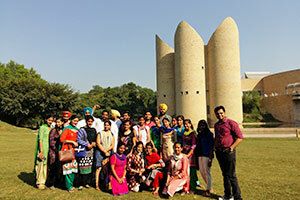 On 11th Feb they again started their journey to Amritsar at 12:00 noon. Students enjoyed their trip a lot. Case Analysis Activity was organized by Management Department on 8th Feb,18. 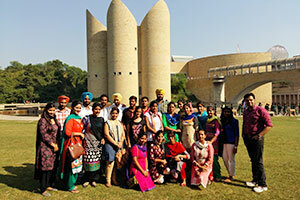 Students of MBA 2nd Sem and 4th Sem participated in this Activity. Students were divided into group of 4 students in each group. They were shown clippings of bollywood movie “Chak De India”. Students were asked to correlate the movie with management concept. One of the students from each group presented the management concepts identified by the group by seeing the clippings. 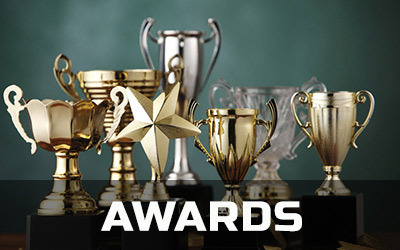 The best 3 teams were awarded by certificates. 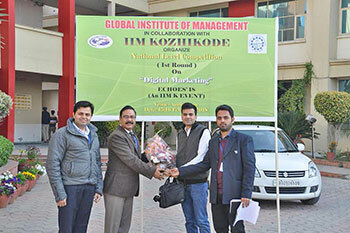 Winning team was from MBA 2nd Sem. With this students of MBA get knowledge about management concept. This activity was become very interesting. 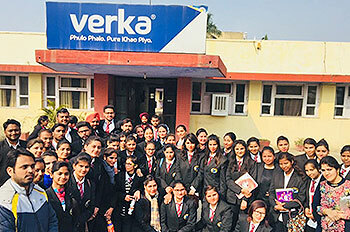 Total number of 60 Students from MBA(4th sem) and B.COM(6th sem) planned a one day industrial visit to Verka Milk Plant, Amritsar on 25/01/2018. The journey started at 11:00 AM from college and reached plant at 11:30 AM. The students were divided in a group of two( 32 students each) . They welcomed us. 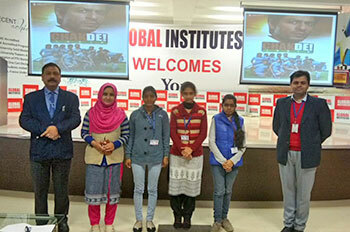 The students interacted with the quality team of the company. The quality team showed various units of Verka milk plant including manufacturing of plastic bottles, TQM, Refilling of glass bottles, preservatives used etc. Students visited the whole plant and gained knowledge. 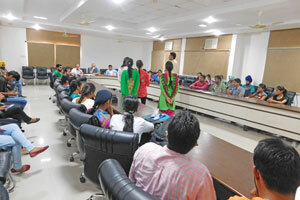 It was an interactive session where students cross questioned the quality team members about the working of the company. After spending approximately one hour at Verka Milk Plant, we reached to college at 1:30 pm. It was a knowledgeable visit where students learnt different techniques and methods used by the organization. Last but not the least, I admire the staff of the organization. 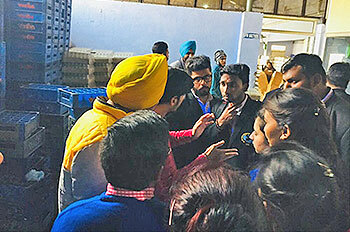 They were cooperative and handled students queries calmly. 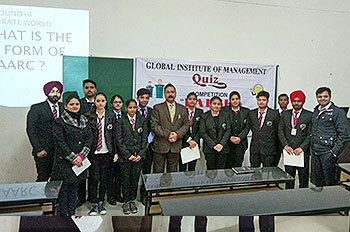 Quiz Competition was organized by Management Department on 29-Jan-2018 at 11:00 a.m. in HMCT Block. 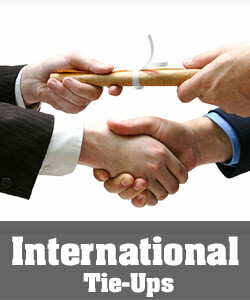 B.Com, BBA, ATHM and HMCT were participants of this Competition. Four rounds were there, each round carried 4 questions of 5 marks each and there will be no negative marking. Round 1 was of General Knowledge, Round 2 was to identify the Personality, Round 3 was of General Awareness and last but not least Round 4 was related to Corporate World. 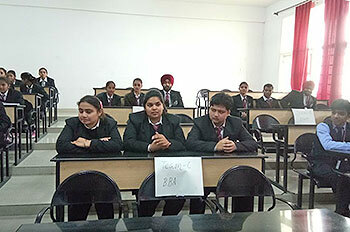 This Competition was very interesting and enjoyable for the students. 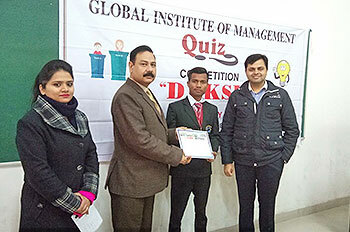 Students also get motivated with this kind of Competitions at Departmental Level. 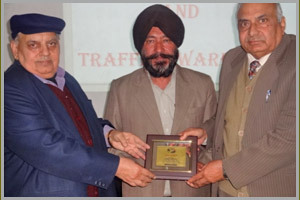 Winners were awarded with Certificates. 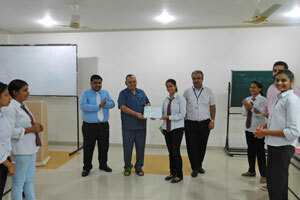 PAC Activity was organized by the faculty members of MBA Department for MBA 2nd Sem & 4th Sem. 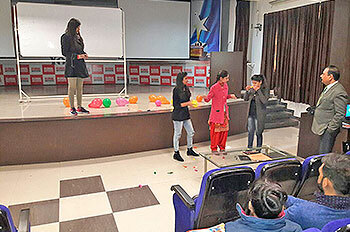 In this activity PPT on Team Work was presented by Dr. R.K. Ghai (Director GIM) and Ms. Pallavi Sood to motivate the students. 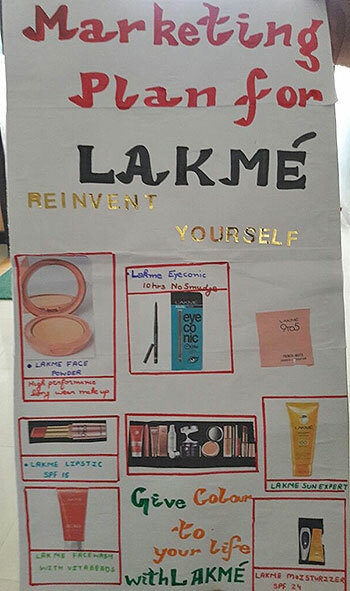 Second activity was Collage making, in this team of 4 students was made they have to make a collage of any product and advertise it. From Collage making Winner and Runner Up was Awarded. Third Activity was again in the same team and it was related blowing of Balloons. This PAC Activity was very interesting and enjoyable. Students enjoyed this Activity and get motivated. 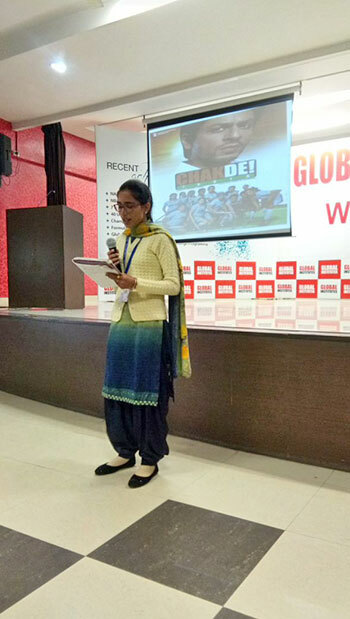 An AD-MAD SHOW was organized by Global Institute of Management on 28th September, 2015. 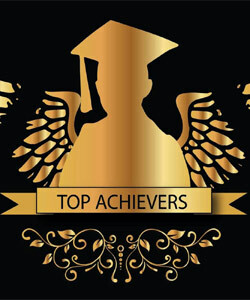 The show was organized in order to meet the competition through creative & innovative advertisements. 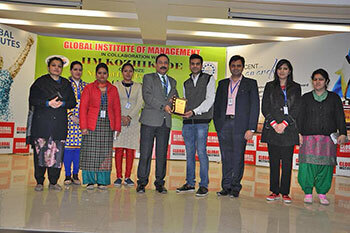 All the management students including MBA, B.Com, ATHM, HMCT participated enthusiastically in the show. The students of MBA were taken to the Coca Cola Company where they were shown the automated machines working for the production, bottling, packaging, labelling & distribution of the Coca Cola Products. 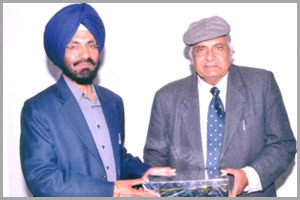 Lt. Col. R. Ravindra (Retd.) 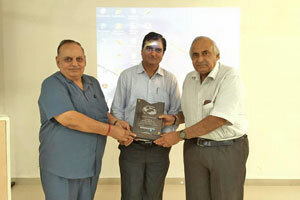 Senior Manager HR from Khanna Paper Mill delivered a guest lecture on “Campus to Corporate” to MBA students. He spoke in detail on the importance of employability, Enterprise and Entrepreneurial skills. 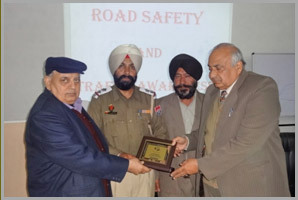 S. Surinder Singh, Traffic marshal delivered a very informative lecture on ” Road Safety and Traffic Awareness” to the students of Global Institute of Management. 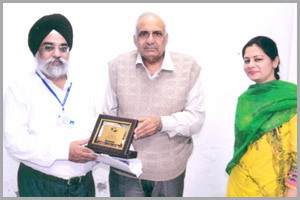 Dr. Raghbir Singh, Ex. 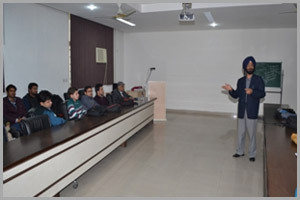 Registrar and Dean Faculty of Management, Guru Nanak Dev University, Amritsar delivered a lecture on “Contemporary Marketing Issues” to MBA students. Mr. V.P. Loomba, Director, S.L. 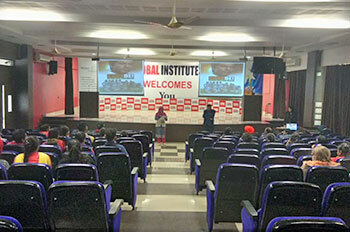 Bhawan’s School, Amritsar delivered a lecture on “Positive Thinking and Optimistic Outlook” to the students of Global Institute of Management. 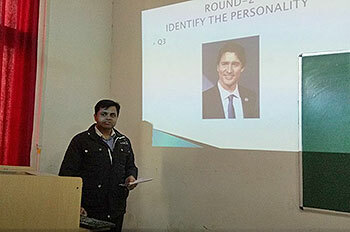 Personality Development classes were arranged exclusively for the management students. 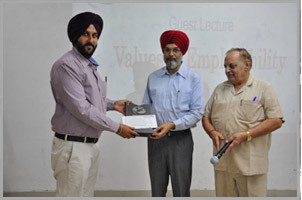 Dr. Lakhwinder Singh, Professor & Head, Department of Commerce & Business Management, GNDU Amritsar delivered a guest lecture on the topic “Values & Employability”.